This beautiful Thomasville buffet did not sell in its original dated condition. The brass hardware was removed from the back and the top stripped and sanded down to remove all scratches and rings. 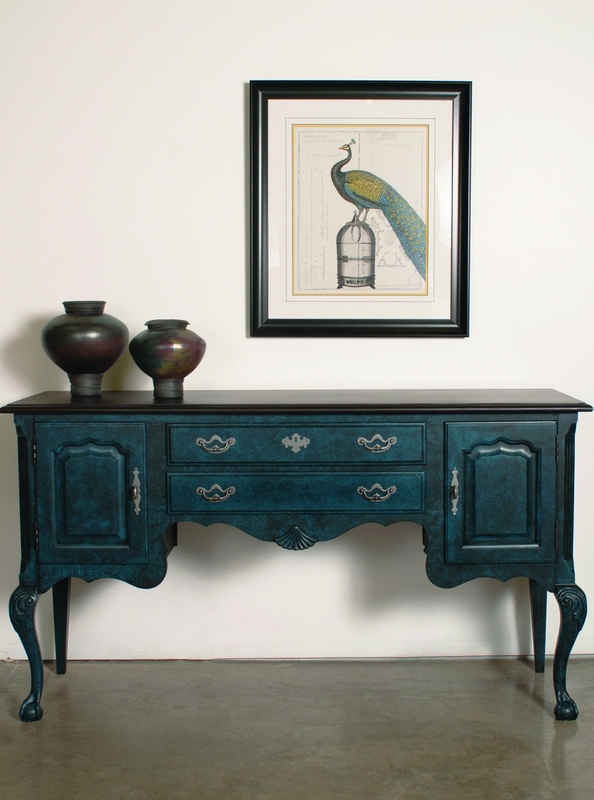 The top was stained expresso and the body was painted in a rich custom mixed bright turqouise. It was then glazed with GF pitch black glaze and crumpled bags were used to get the faux effect. The entire piece was topcoated with GF High Performance Topcoat in flat. The result is an updated buffet/cabinet that is a hit with my customers.